Thank you so much! I'm shocked and overjoyed that we managed to reach our goal in just over an hour, and we've surpassed it by over $15,000 since. Now that I've managed to stop screaming with excitement for a second, let's talk about ways to make the CQ book even nicer with the extra money you've pitched in! The hardcover edition of the book will now include a ribbon bookmark, along with a full-color cover with spot gloss. The paperbacks will have printing on the inside covers, complete with french flaps. Also, if your pledge reward includes the character print set, you'll now be receiving 7 prints instead of 6! Update (4/23) - We've reached $30,000! Thank you! This means the books (both softcover and hardcover) will now include a lovely tipped-in map of the Doughnut Kingdom. Update (4/26) - We've reached $35,000! Thank you! This means the books will include 8 new pages of extra, behind-the-scenes content, with more info about the world of Dreamside and the making of Cucumber Quest. Update (5/2) - We've reached $40,000! Thank you! This means there will be an all-new short story exclusive to the books. If you were curious about what happened to some characters from the prologue, you'll probably enjoy it! Update (5/9) - We've reached $45,000! Thank you! This means that Cucumber Quest will regularly update three days a week from July to December 2012. Update (5/17) - We've reached $55,000! Thank you so much! This means that Cucumber Quest will regularly update four days a week from July to December 2012. My name’s Gigi, and I write a comic called Cucumber Quest, which is published twice a week online. Since its launch in April of 2011, I’ve completed two chapters of the story, and now I’d like to compile them into a printed book. Cucumber Quest, unsurprisingly, is about a young boy named Cucumber. He’s just been accepted to the school of his dreams, but since everyone around him thinks his dreams are kind of lame, he and his little sister, Almond, must instead embark on a quest to save the world. You know—ancient evil, legendary sword, all of that stuff. It’s a lighthearted, RPG-inspired adventure suitable for all ages, and you can read it for yourself here! This will be the first time Cucumber Quest is collected in print format, with both a softcover and limited edition hardcover version. At about 160 full-color pages, the books will include the Prologue and Chapter 0, along with bonus comics and extra material. The manufacturing and shipping costs for an endeavor like this will be roughly $9,750, and that’s where I’ll need your help. If you’re interested in giving your support, please take a look at the list of incentives available. If we meet our goal, the books will be printed by fall 2012, so you can even preorder one if you’d like. And…that’s about it! Thanks so much for your help! As part of the $1000 reward, you'll receive a lovingly-crafted paper cutout illustration featuring the Cucumber Quest character of your choice. Because of the nature of this reward, I can only offer one! 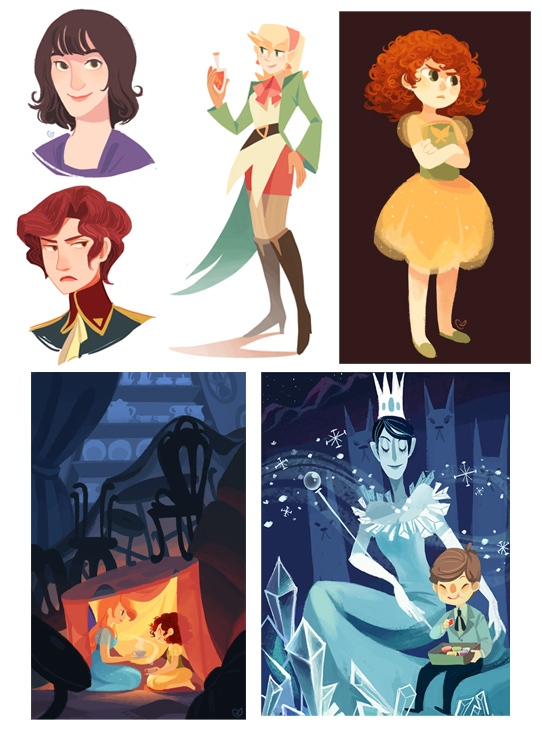 (or $30 USD if international): A PDF of the book, and a set of 6 character prints. (or $40 USD if international): The softcover Cucumber Quest book, and the PDF. 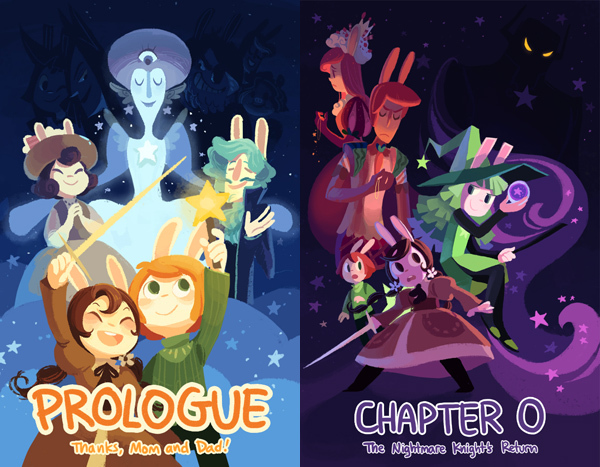 (or $45 USD if international): The softcover Cucumber Quest book, the PDF, and the print set. (or $55 USD if international): The softcover Cucumber Quest book with a signed bookplate (limited to 300,) and the PDF. (or $60 USD if international): The softcover Cucumber Quest book with a signed bookplate (limited to 300,) the print set, and the PDF. (or $95 USD if international): The limited edition hardcover Cucumber Quest book, and the PDF. (or $105 USD if international): The limited edition hardcover Cucumber Quest book, the print set, and the PDF. (or $125 USD if international): The limited edition hardcover Cucumber Quest book, the softcover Cucumber Quest book, the print set, and the PDF. (or $175 USD if international): Both the hardcover and softcover Cucumber Quest books signed and sketched in, the print set, and a PDF of the entire book at web resolution. (or 275$ USD if international): The PDF, the hardcover & softcover editions, both signed and sketched in, the print set, and a digital head portrait (by me!) of anyone you like. (or $340 USD if international): The PDF, the hardcover & softcover editions, both signed and sketched in, the print set, and a digital full-body portrait (by me!) of anyone you like. The PDF, the hardcover & softcover editions, both signed and sketched in, the print set, and a full-color illustration (by me!) of anything you like. The PDF, the hardcover & softcover editions, both signed and sketched in, the print set, a custom full-color illustration, and a handmade paper cutout of any CQ character of your choice.